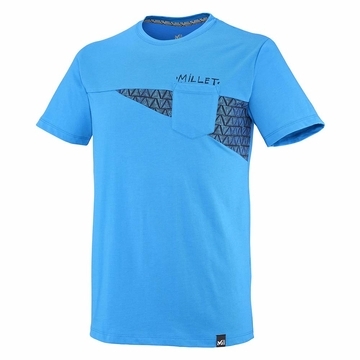 Because climbing is not just the sport, and also stands for an everyday lifestyle, the CROSS ROAD climbing tee fuses advanced tech with a contemporary style, with an original chest patch pocket. Its S MART BLEND fabric, with low environmental impact, is a 50/50 mix of organic COTTON and recycled polyester, two highly complementary fibers with high added value. On ropes and urban routes, the CROSS ROAD tee manages sweat efficiently while keeping its natural softness and maximum freedom of movement, and is also super-light. Easy to wear and durable, it stands up to repeated friction and washing.